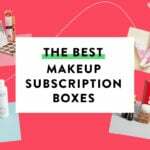 Check out the latest Target Beauty Box Spoilers on My Subscription Addiction! Target Beauty Box February 2017 Spoilers! Target Beauty Box January 2017 Spoilers! Target Beauty Box December 2016 Spoilers! Target Beauty Advent Calendar – 12 Days of Beauty Faves on Sale 11/6! Target Beauty Box October 2016 Spoilers! Target Beauty Box September 2016 Spoilers! Target Beauty Box June 2016 Spoilers! Target Beauty Box May 2016 Spoilers! Target Beauty Box April 2016 Spoilers!